Libero.it, the number one portal in Italy. An Italiaonline's brand. 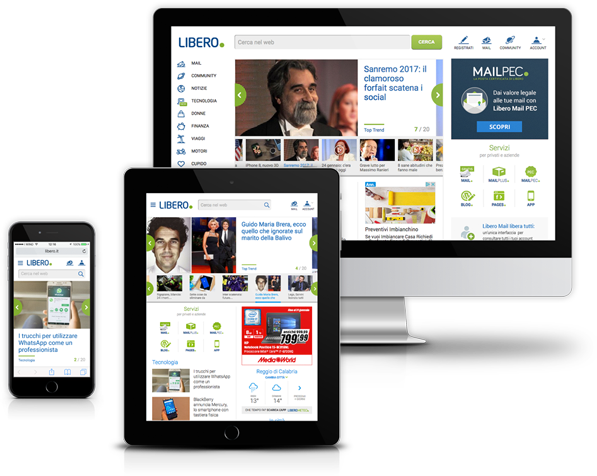 The web portal Libero.it is millions of users’ daily starting point for browsing the web, and offers various types of content and services: free webmail, a search engine, news, thematic channels, community, videos and much more. Libero has marked the history of the Italian web since its origins. Created in 1994 with the name Italia On Line, it was born as a support site aiming to help users surf the net and set up email accounts. In 1996, thanks to the collaboration with Olivetti and the University of Pisa, the portal developed Arianna, the first Italian-language search engine. 1998 was the year of Digiland, the first Italian community of social networks, where users had the opportunity to publish articles, create blogs and chat with others. The brand Libero as it is known today was born in 1999 and was an immediate success, driven by the free webmail it offered its users: a winning move that has made Libero number one in Italy for its number of active email inboxes. More of everything, and then some. Simply the first free webmail in Italy, with over 11 million active inboxes. One of every two Italians online enters the portal daily. There is also an additional option to extend the services to a premium level or certified email inbox. A search engine with an algorithm developed in collaboration with Bing, to better explore the web and find everything you want, when you want. The main news from Italy and the world, what’s trending, a series of thematic channels from which Libero Tecnologia stands out, and lots of entertainment content, as well as the semantic real time search engine 24×7 to always stay updated on current affairs. A meeting point for people and opinions: Libero’s free community offers its members a platform for blogs, chats and dating services, and many other unique features. 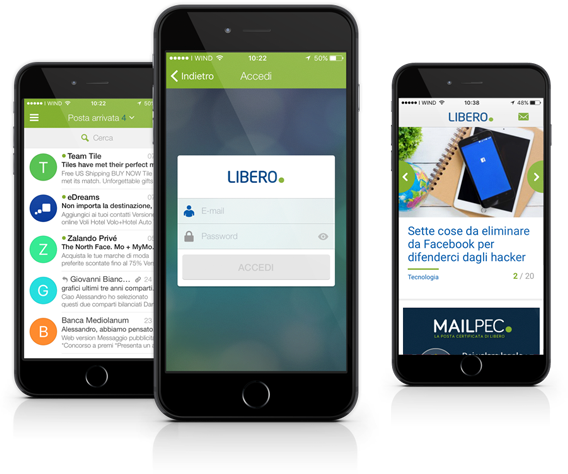 Among the most downloaded iOS and Android apps in Italy, Libero App brings online information and website services to mobile devices. News, entertainment, thematic channels, horoscopes: all at your fingertips, thanks to an easy-to-use interface. Libero Mail App is a multi-account email application that lets users see and handle all of their email accounts, with any provider, moving from one account to the other with just a tap. Available for iOS and Android on the App Store and Google Play, this app is one of the most downloaded from both stores and is the first “Made in Italy” app. 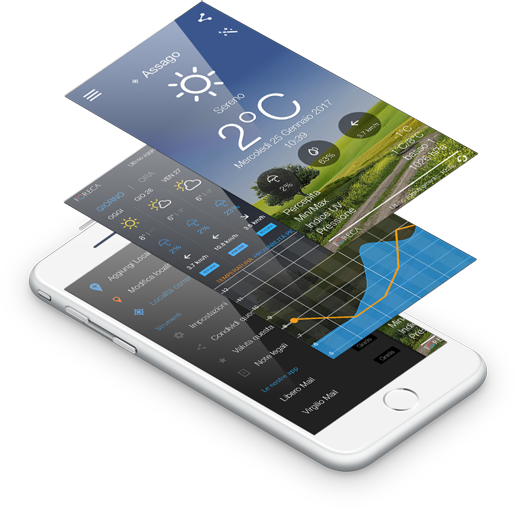 The weather app for smartphones and smartwatches, in real time and with multiple widgets, because you always want to know what the weather’s going to be like. Available for iOS and Android.